Charles Haddon Spurgeon used to address his church at midweek meetings as well as the powerful sermons on Sundays. These addresses were generally more informal in tone and were designed to supply motivation for the church to pray. They are classic Spurgeon in a shorter format. 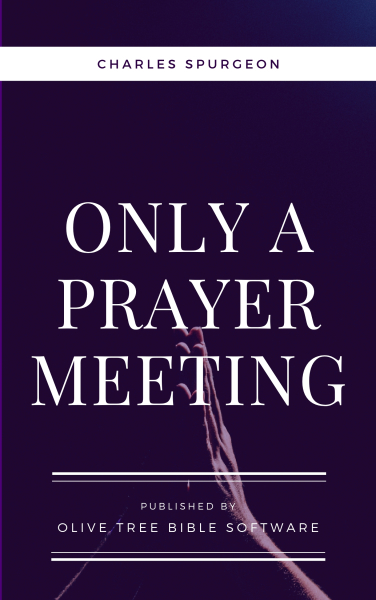 Only a Prayer Meeting, a collection of forty shorter Spurgeon addresses, is charming, challenging and cheering! If you wanted to find out how Spurgeon fueled his church for everyday Christian living and a life of prayer, there is no better starting place.